Program mode gets it right sometimes and exposes correctly for shadow and light. 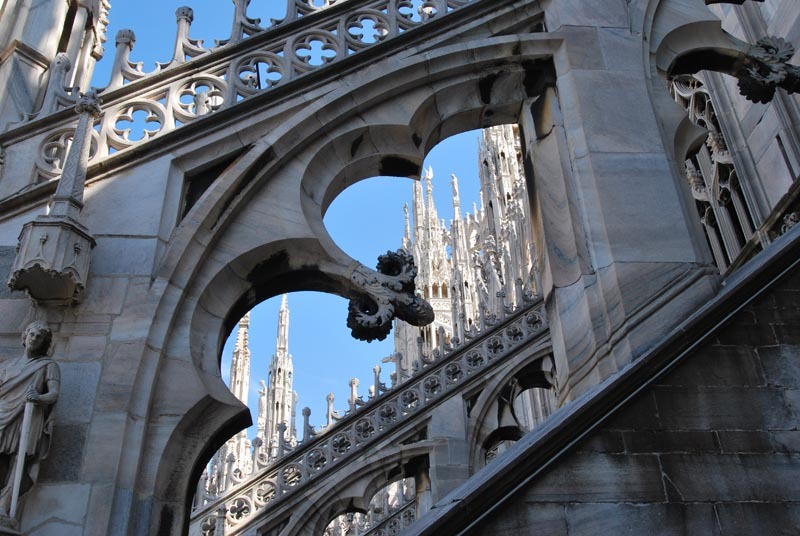 Roof top architecture of the Duomo, Milan Italy. This was taken in program mode by my retired Nikon D60. The camera did a superb job in getting details in the shadows while not overexposing the bright background. I call it lucky. I know, you’re probably thinking the camera is a technology wizard and can adjust to the lighting conditions instantly and it will get the perfect exposure settings every time, right? Unfortunately, not every time. In fact, not very often. Perfect exposure is subjective and what you like may not be what the camera manufacture thinks you’ll like. If you just wanted to point and shoot your camera to capture your photographic memories you wouldn’t have spent hundreds (maybe a thousand+) dollars and bought a DSLR camera, right? To start taking story telling photos you need to understand the basic settings of your DSLR camera. You absolutely need to know why and when to adjust the aperture, shutter speed and ISO. Otherwise, your expensive DSLR camera is no better than the pocket point and shoot camera or the camera on your cell phone. Always capture the moment first, worry about the manual settings when time or situation permits. Taking photographs should first be fun and about capturing the moment. 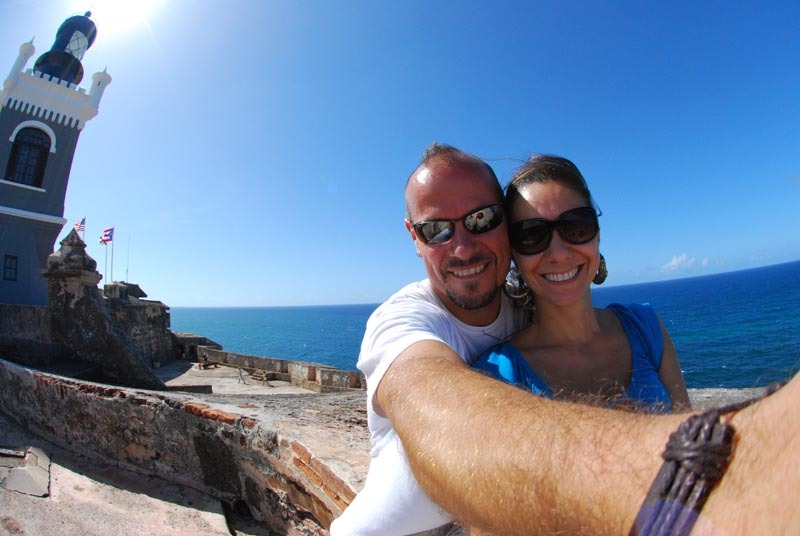 Here in program mode I capture my beautiful wife and I in the Puerto Rico sun just being tourists at Castillo San Felipe del Morro. Absolutely not and some pro’s call P mode Professional mode! Sometimes the pro’s don’t even have time to adjust the camera in manual mode. Rule number 1: taking pictures is about capturing memories. So, ALWAYS take the photo before the opportunity passes. But, as you learn about what makes a good picture great, you’ll want to take great pictures more often. You’ll know when to shoot in aperture priority, shutter priority or full manual. No matter what mode you shoot in, though, always have fun! Practice, practice, practice. On some cameras there may be a (P) Program mode and an Auto mode. They are nearly the same in that the camera will set the aperture, shutter speed and, in some cameras, the ISO to get what it feels is the correct exposure. However, the difference is that in Program mode the camera will allow you to override it’s settings such as shutter speed or aperture whereas in Auto, no overrides are possible.